Wonderful! One of the finest modernist candleholders we have ever seen. This candleholder looks like a small abstract work of art, good enough to serve as a stand alone sculpture when not in use. Kaz is one of the most famous mountains in the Aegean part of Turkey which looks like an iceberg.This candleholder is the top of the iceberg that will never melt. It is a perfect imperfection of an organized chaotic form. 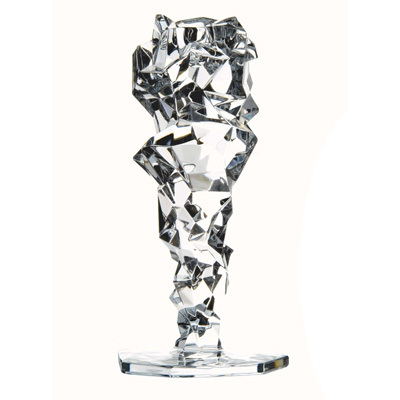 Made in the Czech Republic of high quality clear crystal.